Bear's Hut Atelier: Wellcome to Hugglets Festival 2016! Wellcome to Hugglets Festival 2016! I have good news to all Teddy Bears' funs - one of the greatest evevts of Teddy's world is coming soon :) See you on Hugglets Winter BearFest 2016 on Sunday 28th February 2016 in London. 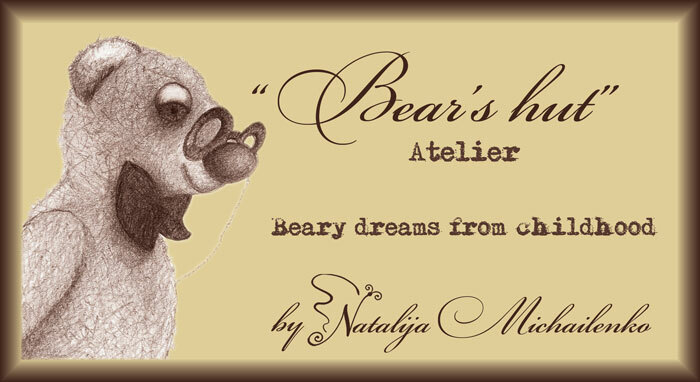 Let me show the prevew of my first Teddy bear collection "Tali's Rose Tales". 11cm, classical pattern, clothes is decorated with cross stitch embroidery.